A “Drone” is basically an Unmanned Aerial Vehicle(UAV) Â – an aircraft without a human pilot aboard. In this article, we explore the different types of drones out there in the market – some of which are just concepts, while most others are already in action. “Drones” can be classified on a different basis – say based on ‘usage‘ like Drones for Photography, Drones for aerial Mapping, Drones for Surveillance etc. However, the best classificationÂ of ‘Drones’ can be made on the basis of aerial platforms. Based on the type of aerial platform used, there are 4 major types of drones. Multi Rotor drones are the most common types of drones which are used by professionals and hobbyists alike. 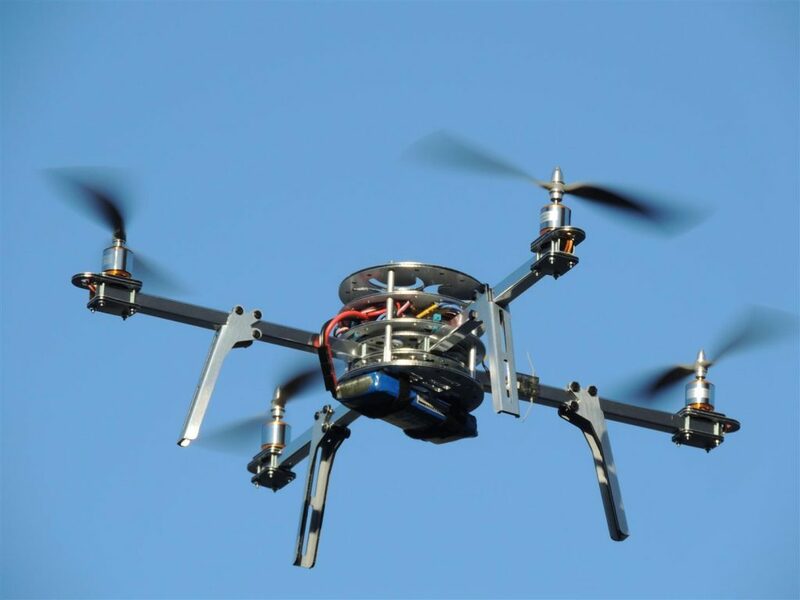 They are used for most common applications like aerial photography, aerial video surveillanceÂ etc. Different types of products are available in this segment in the market – say multi-rotor drones for professional uses like aerial photography (whose price may range from 500USD to 3K USD) and there are lots of variants for hobby purposes like amateur drone racing, or leisure flying (price range from 50USD to 400USD). Out of all the 4 drone types (based on aerial platform), multi-rotor drones are the easiest to manufacture and they are the cheapest option available as well. Multi-rotor drones can be further classified based on the number of rotors on the platform. They are Tricopter (3 rotors), Quadcopter (4 rotors), Hexacopter (6 rotors) and OctocopterÂ (8 rotors). Out of these, Quadcopters are the most popular and widely used variant. Although easy to manufacture and relatively cheap, multi-rotor drones have many downsides. The prominent ones being it’s limited flying time, limited endurance and speed. They are not suitable for large-scale projects like long distance aerial mapping or surveillance. The fundamental problem with theÂ multicoptersÂ is they have to spend a huge portion of their energy (possibly from a battery source) just to fight gravity and stabilize themselves in the air. At present, most of the multi-rotor drones out there are capable of only a 20 to 30 minutes flying time (often with a minimal payload like a camera). 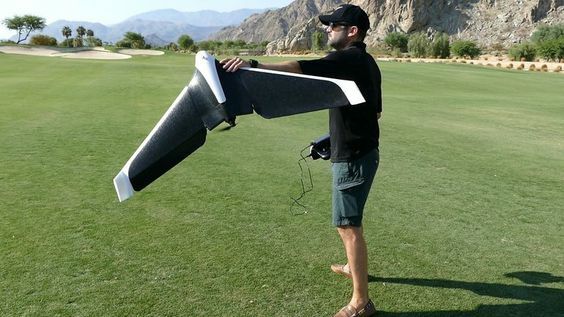 Fixed Wing drones are entirely different in design and build to multi-rotor type drones. They use a ‘wing’ like the normal airplanes out there. Unlike multi-rotor drones, fixed wing type models never utilize energy to stay afloat on air (fixed wing types can’t stand still on the air) fighting gravity. Instead, they move forward on their set course or as set by the guide control (possibly a remote unit operated by a human) as long as their energy source permits. Most fixed wing drones have an average flying time of a couple of hours. Gas engine powered drones can fly up to 16 hours or higher. 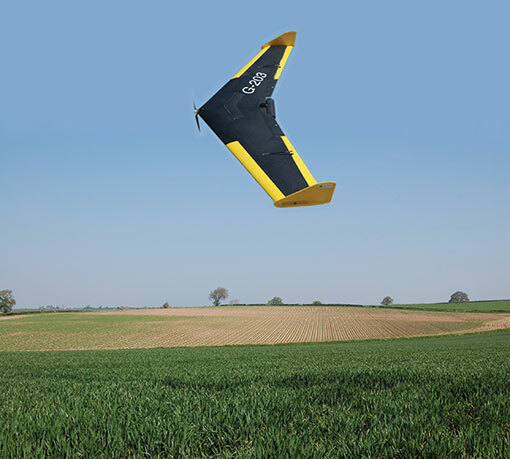 Owing to their higher flying time and fuel efficiency, fixed wing drones are ideal for long distance operations (be it mapping or surveillance). But they can not be used for aerial photography where the drone needs to be kept still on the air for a period of time. The other downsides of fixed-wing drones are higher costs & skill training required in flying. It’s not easy to put a fixed wing drone in the air. You either need a ‘runway’ or a catapult launcher to set a fixed wing drone on its course in the air. Â A runway or a parachute or a net is again necessary to land them back in ground safely. On the other side, multi-rotor drones are cheap – anyone with a few hundred dollars to spare can buy a decent quadcopter. Flying a quadcopter doesn’t require special training. You just take them to an open area and fly it. Guiding and controlling a quadcopter can be learned on the go. 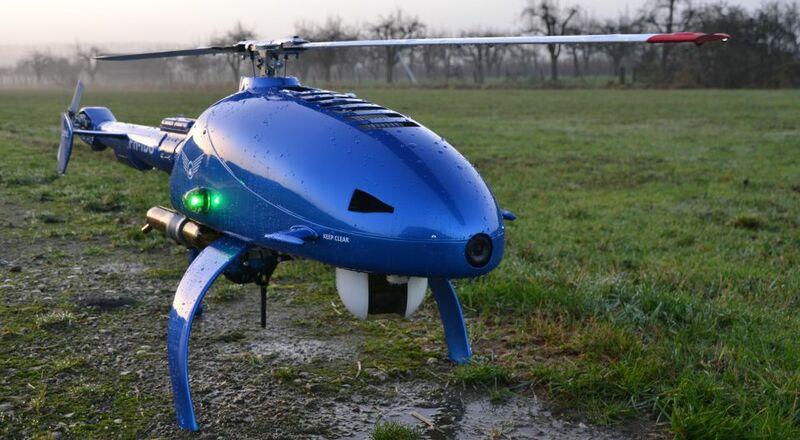 Single rotor drones look very similar in design & structure to actual helicopters. Unlike a multi rotor drone, a single roter model has just one big sized rotor plus a small sized one on the tail of the drone to control its heading. Single rotor drones are much efficient than multi rotor versions. They have higher flying times and can even be powered by gas engines. In aerodynamics, the lower the count of rotors the lesser will be the spin of the object. Â And that’s the big reason why quadcopters are more stable than octocopters. In that sense, single rotor drones are much efficient than multi-rotor drones. However, these machines comes with much higher complexity and operational risks. Their costs are also on the higher side. The large sized rotor blades often pose a risk (fatal injuries have been recorded from rc copter accidents) if the drone is mishandled or involves in an accident. 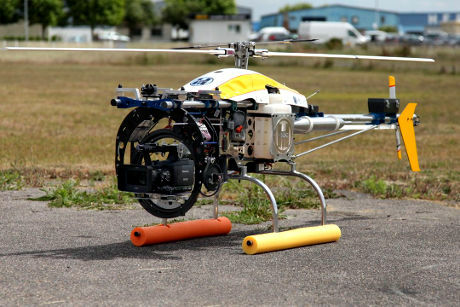 Multi-rotor drones, often owing to their small rotor blades have never been involved in fatal accidents (though a scar on human body is likely). They also demand special training to fly them on air properly (though they may not need a runway or a catapult launcher to put them on air). These are hybrid versions combining the benefits of Fixed wing models (higher flying time) with that of rotor based models (hover). This concept has been tested from around 1960’s without much success. However, with the advent of new generation sensors (gyros and accelerometers), this concept has got some new life and direction. Hybrid VTOL’s are a play of automation and manual gliding. A vertical lift is used to lift the drone up into the air from the ground. Gyros and accelerometers work in automated mode (autopilot concept) to keep the drone stabilized in the air. Remote based (or even programmed) manual control is used to guide the drone on the desired course. There are some versions of this hybrid fixed wing models available in the market. However, the most popular one is drone used in Amazon commercials (for its Prime delivery service). Wow this article’s making me more interested in UAV’s. This information you give is actually helpful!